Is it possible to create a screen for a computer monitor to allow a Myopic person to see the screen without glasses? Myopia shortens the maximum focus length of an eye, i.e., the converging action of a myopic eye is too strong and, as a result, the image of a distant object is formed in front of the retina - not on the retina. Nearsighted vision is corrected by placing a corrective concave lens in front of the eye - its diverging action compensating the excessive converging action of the eye. We can also say that, by its diverging action, the concave lens brings distant objects closer to the eye - to some short distance from which a myopic eye can focus them properly. The stronger the myopia, the stronger the required concave lens action, the shorter that "clear vision" distance. For this paradigm to work, the corrective lens has to be located closer to the eye than the clear vision distance and a distant object, which requires correction, has to be located further from the eye than the clear vision distance. 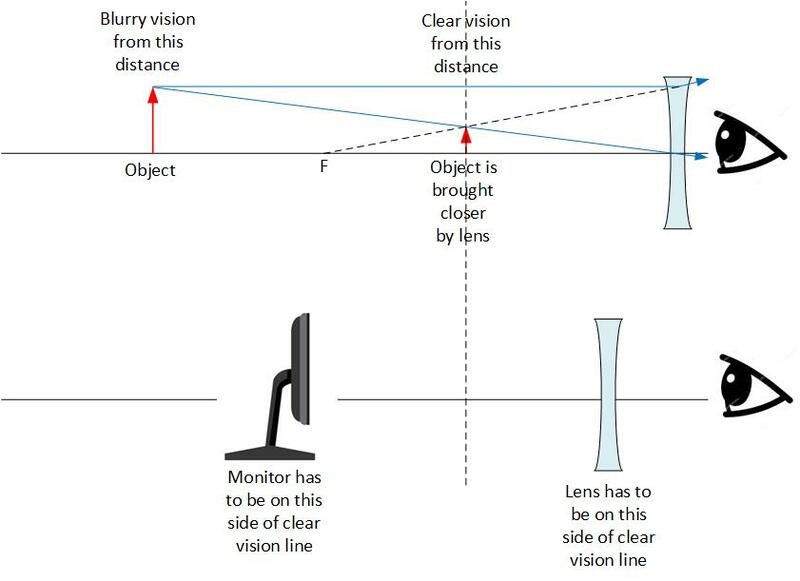 Obviously, under these conditions, the monitor and its corrective lens would have to be separated in space, which means that the corrective lens cannot be built into the screen. Of course, we could have a giant magnifying glass built into the screen, like it was done in early TV's with tiny screens. This would magnify the image and make it easier to make out the details, but the image would still be out of focus. Not the answer you're looking for? Browse other questions tagged optics refraction lenses vision or ask your own question. Is it possible to blur an image in such way that a person with sight problems could see it sharp? 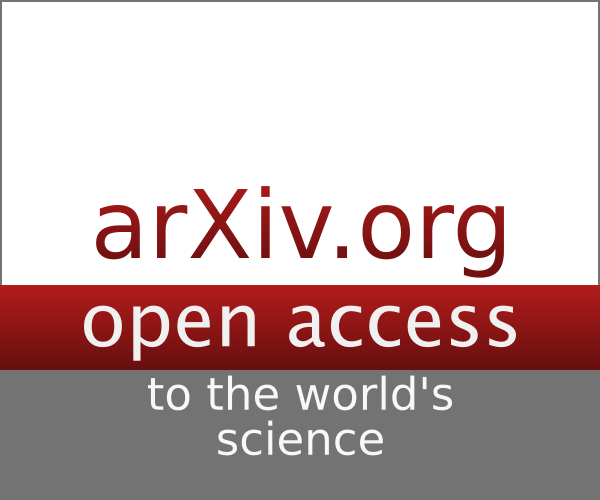 Experiment regarding myopic correction by a manipulation of fingers? Viewing computer screen through 3D glasses, why the asymmetry? Can a person with bad vision see a blurry picture clearly? Do people wearing glasses have different field of view than those who don't? Why don't eye lenses alter depth perception? Could you use polarization filters to make a privacy screen? On-watch lens to correct for presbyopia?